October 7, 2016—Ever thought about what your athletic shoes are made of? Or where they end up when they’re discarded and no longer on your feet? Most likely the landfill. Over 20 billion pairs of shoes are produced yearly and over 300 million pairs are thrown away in the same year. And all of these shoes are still laying somewhere in our landfills, year after year, for up to 1,000 years! Most shoe midsoles, from the major running shoe companies, are derivatives of EVA (ethylene vinyl acetate foam), with additives, such as polyurethane, to create the desired results of the individual shoe brand. What’s the down side of using EVA in today’s shoes? EVAs release volatile organic compounds (VOCs) into the air when decomposing. Today several companies are working to create biodegradable footwear using materials that will compost when your shoes are tossed into the landfill. One such company is Bloom Holdings LLC, a new company which started production in early 2016, manufacturing a foam product from algae found in freshwater lakes and rivers. The company uses a mobile vacuum to harvest problematic algae from around the world. Problematic algae are often called red tides, which are algae blooms that have become so numerous they can discolor the water, depleting oxygen and often releasing toxins. 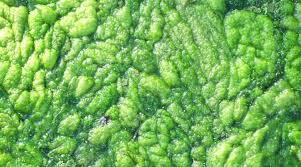 Algae can also cause human illnesses via consumption of seafood contaminated by the toxins. There has been a rise in problematic algae for several reasons including global warming, which is causing an increase in water temperatures encouraging algae to flourish. Nitrogenous fertilizers and detergents can also cause problematic algae bloom, making their way into freshwater rivers and lakes, killing many fish. And finally, overpopulation can lead to overfishing of predator fish which results in a massive increase in small fish and large blooms of algae. Of about 5,000 plus species of marine phytoplankton that exist on earth, only about 2% are toxic or have harmful effects. BLOOM harvests these algae, making them into pellets, then turning the pellets into a flexible, biodegradable foam which can replace the harmful, non-biodegradable EVAs. 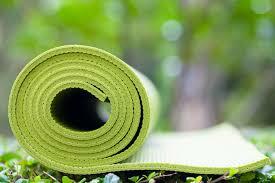 The products are competitively priced, hypoallergenic and naturally antimicrobial. Bloom biofoam can be molded, made into sheet foam, or compressed. The first product made from algae blooms is a surfboard material in collaboration with pro-surfer Kelly Slater. 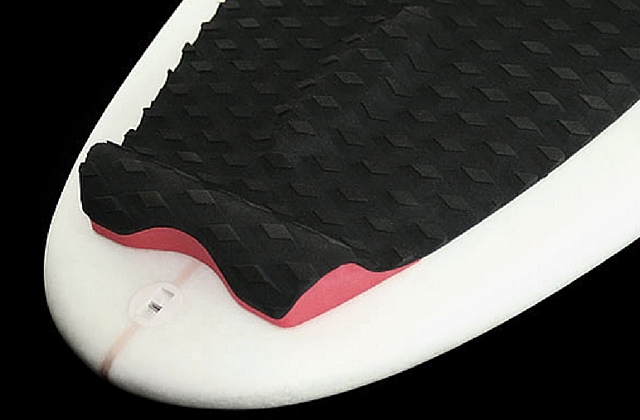 The surfboard pad contains 25% algae foam. Most products will have a minimum of 25% algae bloom. Bloom Company estimates that making the surfboard pad will return 28 gallons of clean filtered water back into the habitat, per pad. And it will prevent 22 helium-balloon sized equivalent of CO2 from being released into the atmosphere–per pad. “We try to incorporate sustainability and practicality into everything we do. We want to help make more sustainable product options an accessible and easy choice,” says Mike Van Drunen, co-founder and CEO. BLOOM offers a sustainable answer to conventional flexible foams, with less environmental impact. What we do today effects tomorrow! Categories: Climate Change, Pollution, Population, Renewable Resources, Sustainable Education | Tags: #Bloom Holdings LLC, #harvestingalgae, #sustainable, #sustainableproducts, #sustainableshoes | Permalink.